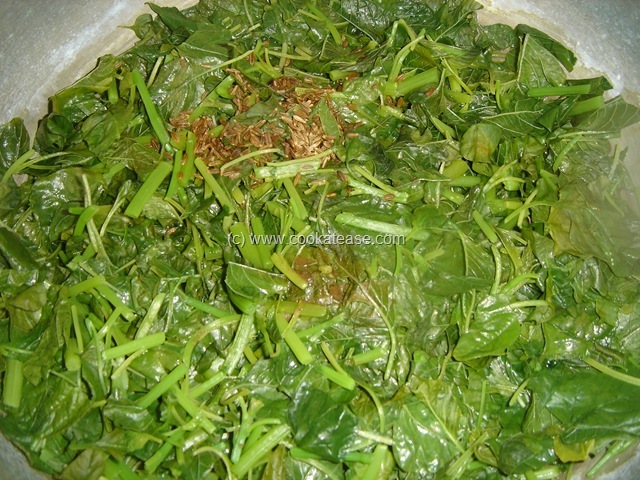 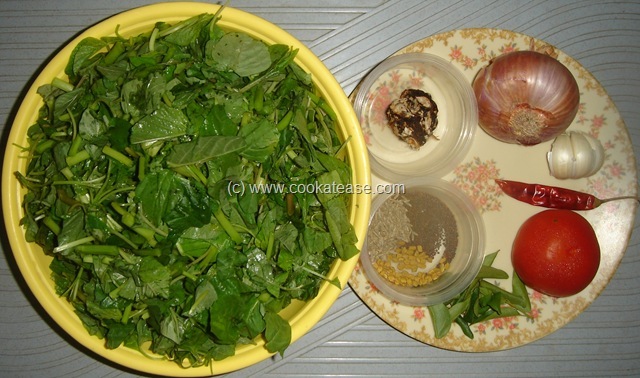 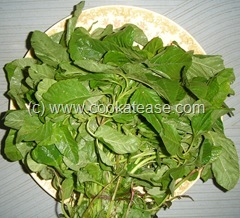 Amaranth (Mulai Keerai in Tamil) is a leafy vegetable and is used more in south Indian cooking. 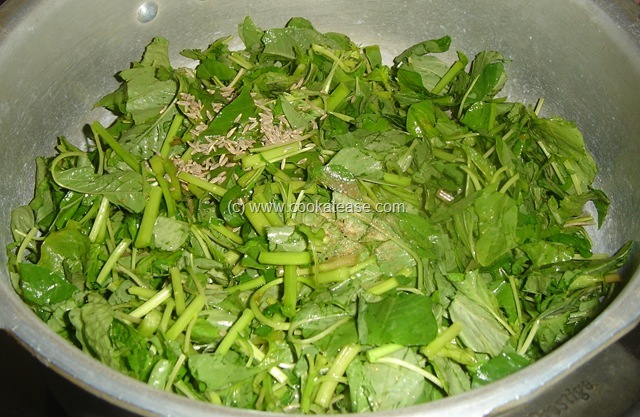 This contains more vitamins, minerals and good dietary fiber. 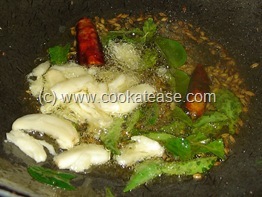 Mulai keerai is used to prepare tasty puli kuzhambu (tangi tamarind curry), stir fry, kootu, masiyal. 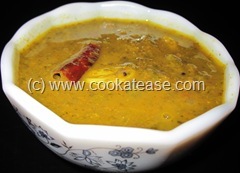 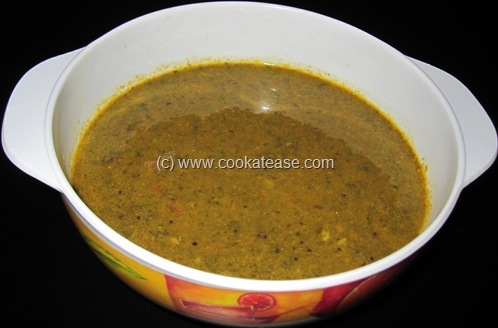 We love this mulai keerai puli kuzhambu very much and this is one of our all time favorite. 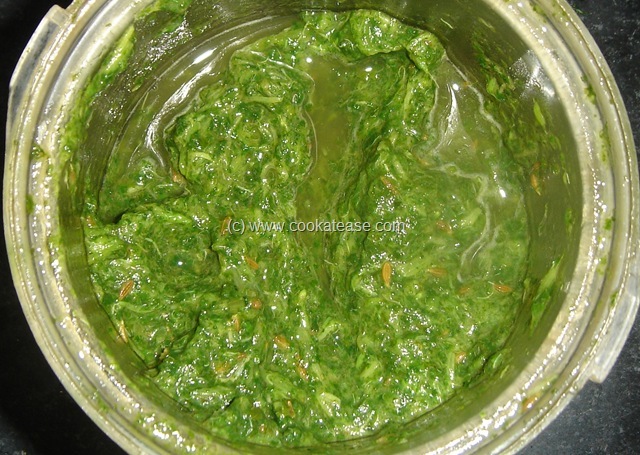 Peel and crush garlic, chop onion and tomato; take mulai keerai in a cooker with few cumin seeds and pinch of asafetida; add ¼ cup of water and pressure cook for one whistle; cool and mash it partially with a mixer or churner. 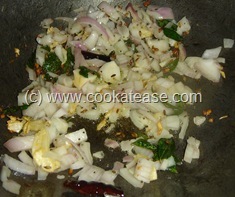 Heat a pan with oil and do the seasoning; add crushed garlic and fry for few seconds; then add chopped onion and fry for few seconds. 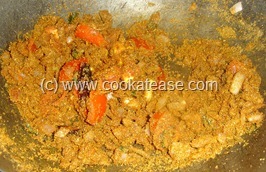 Then add tomato and fry till soft; then add all dry masala powder, salt and fry for few seconds; add tamarind juice and 2 cups of water. 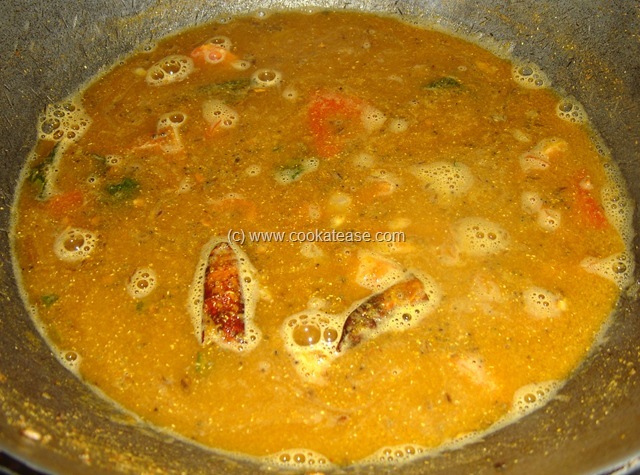 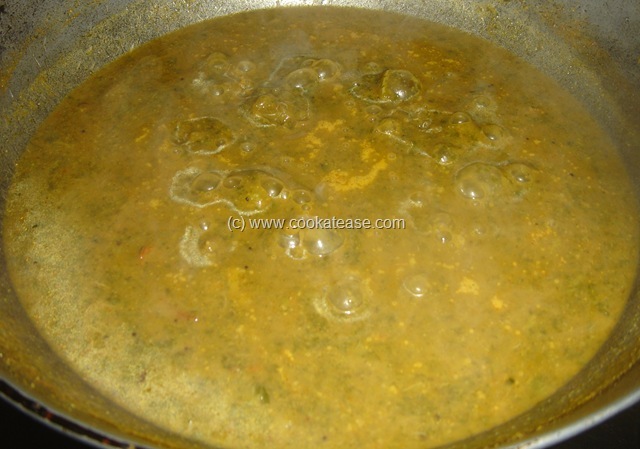 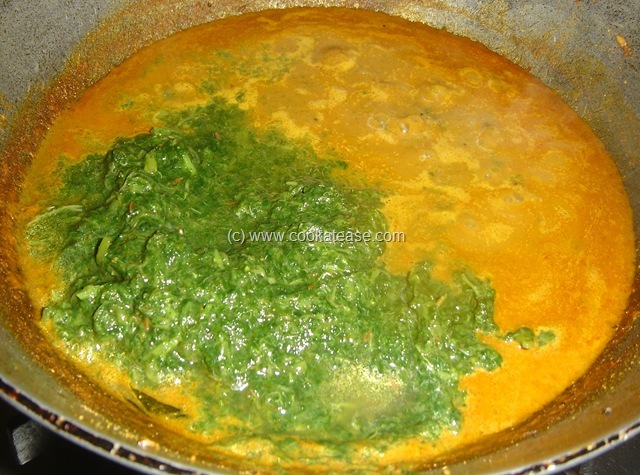 Bring to boil and keep it for 4 to 5 minutes; now add boiled mulai keerai, mix and cook for 2 minutes more; adjust water consistency. Serve hot with rice or chappati. 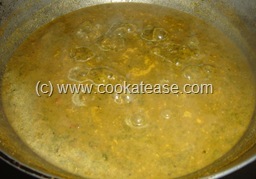 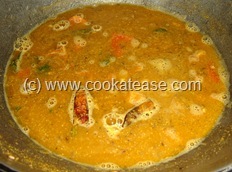 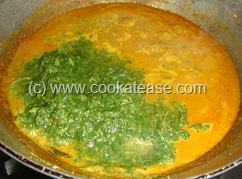 This dish can be tried with Arai Keerai or Siru Keerai also. Wow never tried puli kuzhambu with mulai keerai, looks spicy and prefect, would love with papads and hot steaming rice topped with ghee..
Looks very nice..my mom makes this..I have not tried yet..